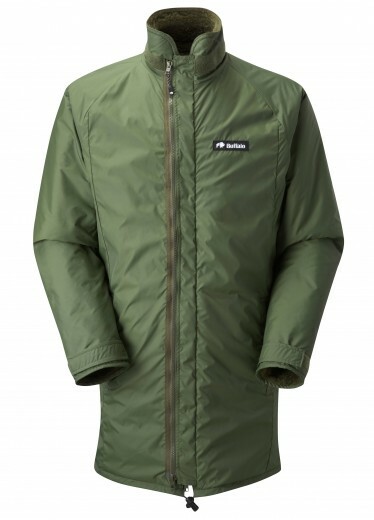 This jacket was designed for Scottish winter conditions. This is the jacket for standing about in howling whiteouts, for high level winter walking, walking the dog, bird watching or fishing. It has been tested for over 30 years in the most hostile conditions. Elasticated waist and hem adjustors. I have the buffalo parka got it for my birthday in may so not used it yet. But i must say it looks like a walking sleeping bay. Got it from penrith survival. Best jacket I’ve had, its been used and abused since I bought it in 1996 and only now is it starting to show any wear! I`ve had My Mountain jacket for a couple of winters use now, & found it to be a very cosy warm jacket. I bought to go over My Special 6 at rest stops, but have found it also works very well over other things such as a wool smock when needed. The length of the jacket is great if your 6ft as it comes down to mid-thigh length. So when sitting your lower back is well covered. That`s very important to me in winter. My only gripe is the waste adjuster digs in a bit if too tight causing a cold spot, so leave it fairly lose. Overall a great rest stop over-layering jacket, possibly a life saver if things go badly wrong.